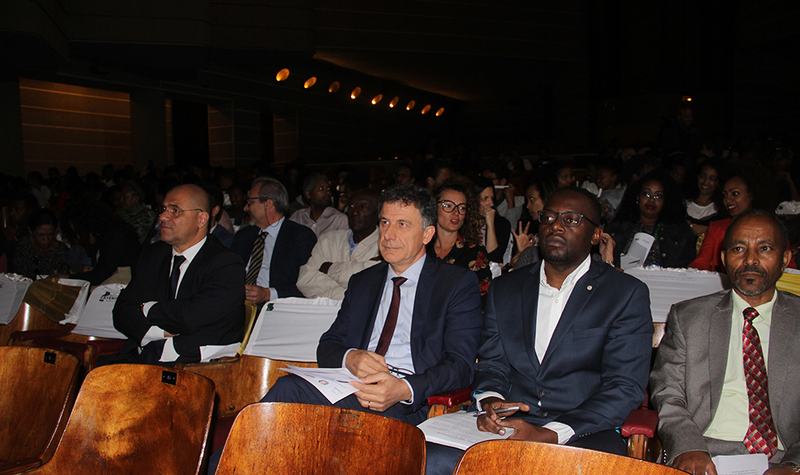 Addis Ababa — The International Organization for Migration (IOM), in collaboration with the Government of Ethiopia and the National Theatre, launched a TV drama series called Mirage last Friday (30/11). Mirage artistically depicts the intricate deception ploys employed by smugglers, and the exploitative techniques they use to deceive young vulnerable Ethiopians into taking irregular journeys in search of better opportunities. The 13-episode TV series, which will start airing on Fana TV at 6:00 PM as of 8 December, features popular Ethiopian artists who were also engaged in script development, acting and directing. The Government of Ethiopia has extended unwavering support in realizing the project, which is a part of an effort to prevent irregular migration within the country. 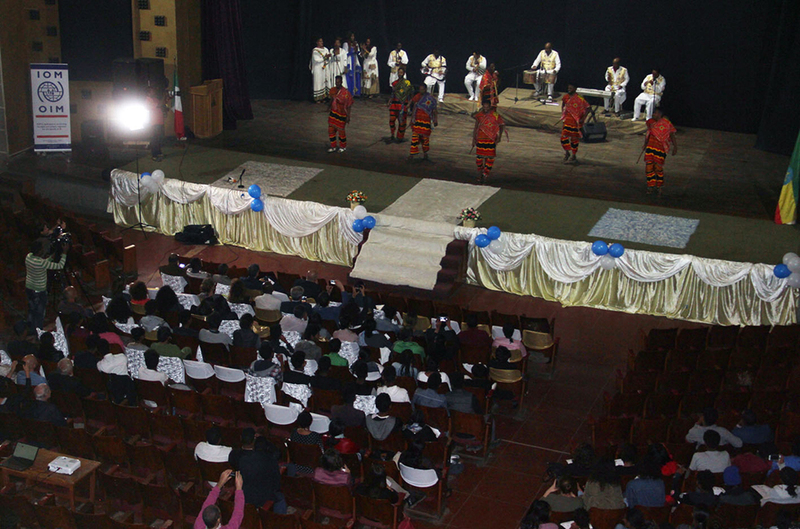 In Ethiopia, IOM is engaged in extensive awareness raising and behaviour change initiatives at grassroots level through community conversation, forum theatre performances and peer education, as well as community and school outreach. Mirage, while complementing the efforts of various stakeholders to prevent irregular migration, aims to foster better understanding of irregular migration by contributing to policy decisions and strengthening the response at various levels. With a large number of Ethiopian returnees registered from the Middle East every month, it is clear that further steps should be taken to curb irregular migration. IOM and the Government of Ethiopia have stepped up their efforts in this area. In addition to soft support through awareness raising efforts, the organization also provides reintegration assistance to vulnerable returnees through vocational skills training, education, psychosocial support and small business grants. The project is financed by the Agency for Italian Development Cooperation. 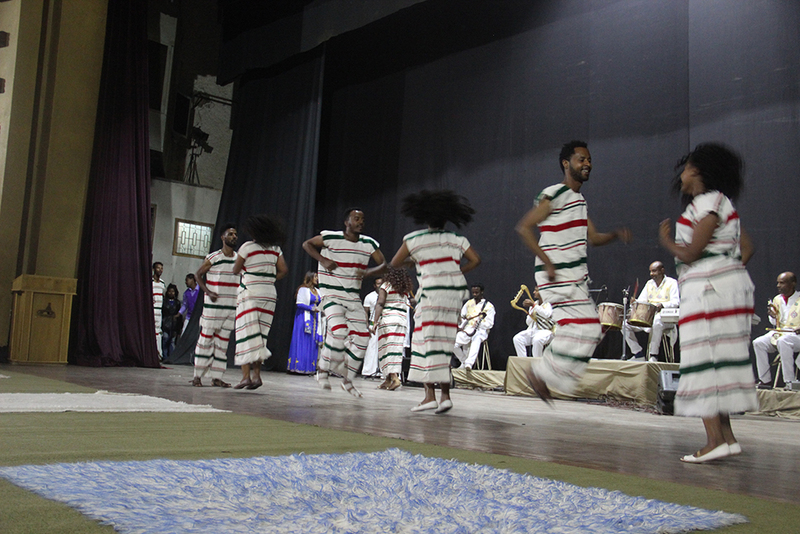 National Theatre dancers performing the Traditional Gofa dance before the launch of ‘Mirage’ in Addis Ababa. Launch of ‘Mirage’ at the Ethiopian National Theatre in Addis Ababa.